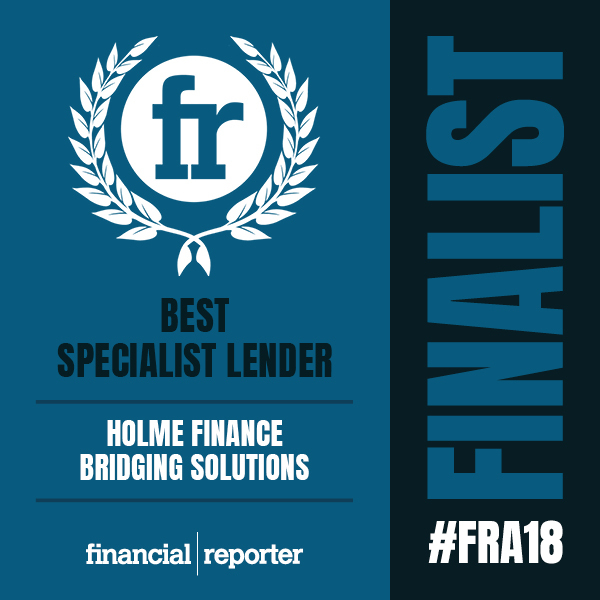 The votes are in and Holme Finance Bridging Solutions (HFBS) are very proud to announce they are finalists in the Best Specialist Lender category of the Financial Reporter Awards 2018. The Financial Reporter Awards returns for its ninth year in its role as the most transparent and highly-regarded awards programme in the industry. Developed to support a changing industry by promoting good practice and excellent service, the Financial Reporter Awards provide an incentive for firms to go above and beyond and be rewarded for it by those who know best – the intermediaries. Without a panel or judges, the awards truly represent the industry’s opinion on who deserves to be recognised. 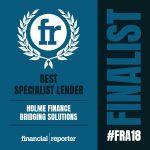 HFBS go through to the finals where one deserving business or individual in each category will be crowned the winner at the Financial Reporter Awards party on the 15th May – watch this space.